So when we got invited to a game day at a friends’ house last Saturday, we decided to take it along. The game consists of a two-sided plastic peg board, white plastic maze wall pieces, two ball bearings, and two magnets. The first part of the game is to use the white plastic walls to create a maze. 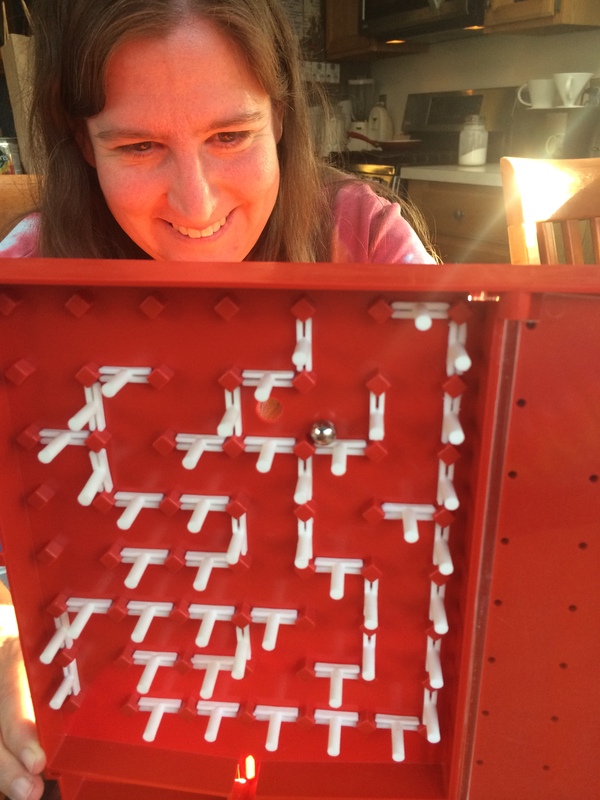 The second part of the game involves trying to solve the maze created by your opponent while they try to solve yours–both sight unseen, by using the magnets to drag the ball bearings. It’s diabolical! If you make a mistake, the ball hits a wall and falls Pachinko-style to the bottom where you have to start over. We had a little problem with the ball bearings… apparently the originals had been lost and replaced with ones slightly bigger, which caused them to jam from time to time. But we got around that slight issue and had a great time! 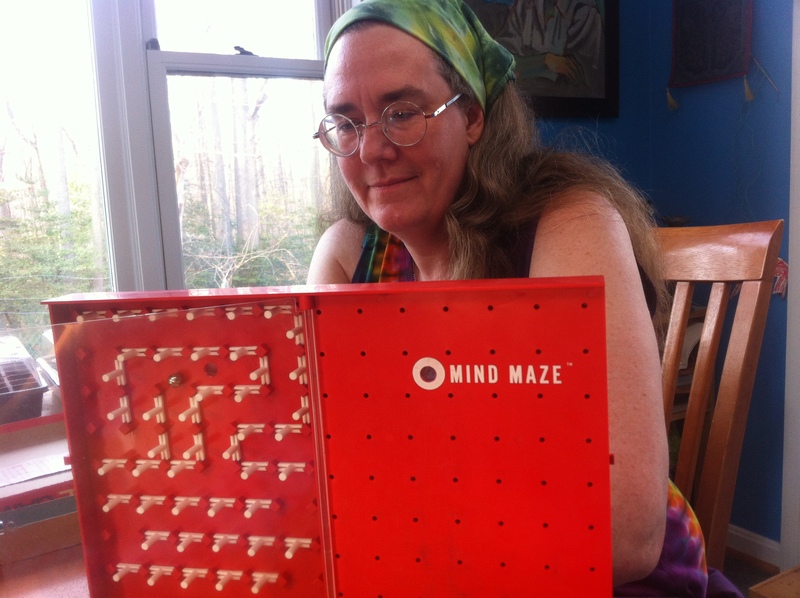 Here is the maze I made for Kristin. And here is the maze she made for me. Then we showed it to the son of the party hosts and he gave it a try. Lots of fun all around! Soon I’ll show you another section of the game collection and see if any of those get opened up.